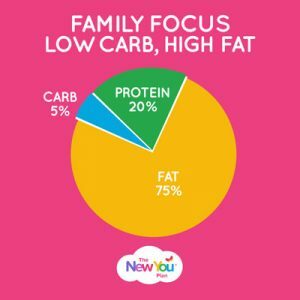 At The New You Plan, one of the ways customers choose to follow our diet is using our Family Focus approach. So what is it and how does it work? Here, our Customer Transformation Coach Candida shares why Family Focus might be the best option for you. 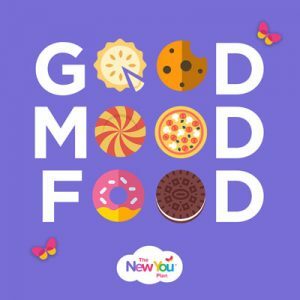 At The New You Plan, there are a few different ways to follow our plan. While the majority of people will choose Total Food Replacement (TFR) for fast results, some of our customers find that it doesn’t suit their lifestyle. 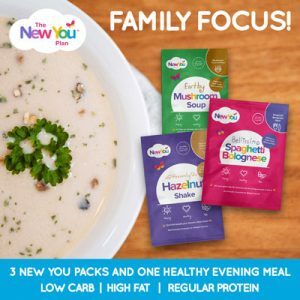 Family Focus is a meal plan which can easily fit around your family life. What customers love about it is the fact that you can still sit down together as a family in the evening and enjoy a meal together, while still experiencing amazing weight loss results. So what exactly is Family Focus? 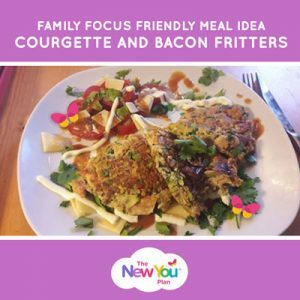 With Family Focus, we recommend that you have one small low carb healthy meal with your family in the evening and stick to meal replacements for breakfast, lunch and snacks. What does a typical daily menu look like? 4ltrs of water and tea or coffee throughout the day! This is a fantastic routine! Having a routine is very important when you are focusing on changing your life, mind and body. Once you get into the habit of following your routine, it becomes the norm! 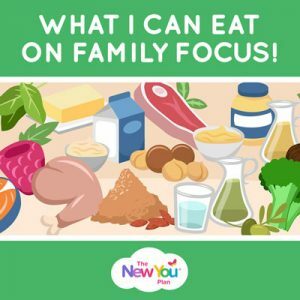 What meals do I eat on Family Focus? You may not realise that some vegetables are high in carbs. 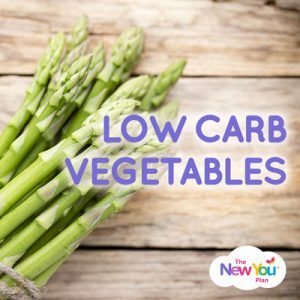 So, it is best to stick to low carb veg. If you eat enough protein, you will feel less hungry and eat fewer calories. That’s why it’s critical to eat adequate amounts of protein if your aim is to lose fat. Avoid rice, bread and pasta as these are high in carbs and can be the downfall of many slimmers. You can make your own delicious keto friendly bread and rolls using coconut and almond flour. Cauliflower rice is a great substitute for regular rice and courgettes make delicious chips. Try to get your fat from natural sources like meat and nuts. Supplement with saturated and monounsaturated fats like coconut oil, butter, and olive oil. Completely avoid trans fats as these are artificial and chemically altered, such as margarine. Snacking is permitted but make healthy choices. Stick to your New You Snacks or you could have a small handful of almonds or peanuts or a hard-boiled egg dipped in full fat mayo. Just be mindful of your portion size. Do try and avoid low fat foods as these are packed full of artificial ingredients that our bodies are not designed to process. Family Focus is a wonderful way to lose weight whilst integrating with your family in the evening. It also works well if you are going on holiday as you can continue to lose weight and not feel left out for the evening meal. Finally, really think about your portion size as this is key! STOP eating when you feel satisfied, not full to the brim. Take your time, enjoy the flavours and textures as this should be an enjoyable experience. Be organised and plan your menu in advance. Good luck on your Family Focus journey!